It's hard to believe, but it's been 15 years since a Punch-Out!! game was released. Perhaps this is due to the fact that even though the games were made by Nintendo, naturally situated in Japan, they never really found an audience over there. When the Wii came out this was even more of a shame; a new instalment in the series would fit so well on the system, but it didn't seem like Nintendo would make one. Thankfully, Next Level Games (who you might know as the developers of the two Mario Strikers games) asked Nintendo about the Punch-Out!! series and expressed interest in making a new one. 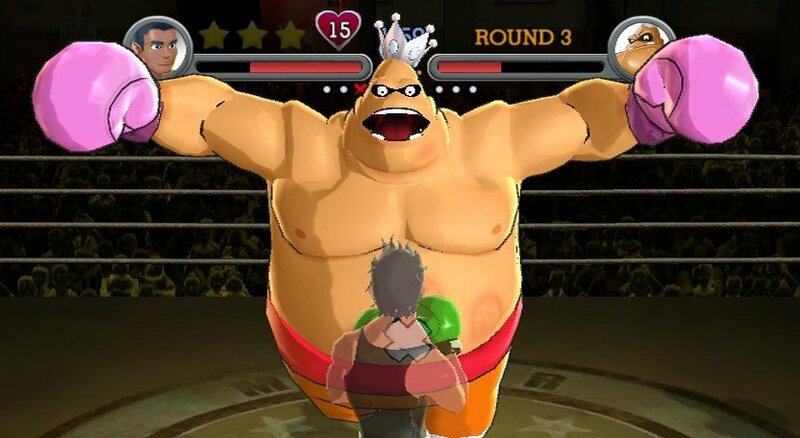 Surprisingly, Nintendo agreed and the end result is this Wii-exclusive update. 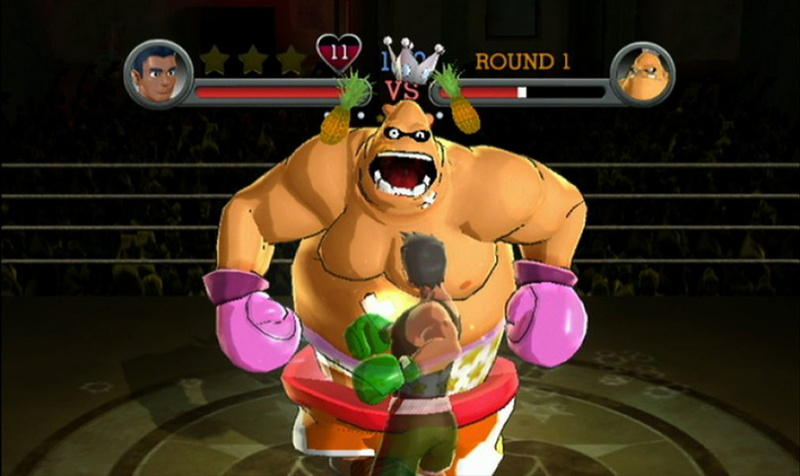 The main gameplay in Punch-Out!! is still the same as always - it's not really a boxing game, but more of a puzzle game. You work your way through various opponents as you try to figure out each one's pattern, reacting correctly to each of their moves to dodge them and successfully mount your own counter-attack. The rules are exactly the same as those of the NES game - there's a maximum of three rounds in every fight. If either you or your opponent is knocked down thrice in one round you or he will lose instantly by a TKO (Technical Knockout). If you're knocked down multiple times in multiple rounds you (0r your opponent) might not be able to get up again, which will get you a normal KO. If you're good at timing, a few opponents actually have weak spots which, when hit at exactly the right time, will KO them in a single punch. Next Level Games chose to bring back unique elements from both previous console games; as was the case in the NES game, you can earn stars by hitting opponents at exactly the right times (while they're taunting or right before they're about to throw a punch, being two examples). You can then use these stars to unleash powerful uppercuts which take away a ton of health. Unlike the NES game, however, it's actually recommended you save these up before unleashing them - if you use 3 stars (the maximum available) at the same time you'll bring down an opponent's health from full to near empty. An element from the SNES game which has returned is the ability to recover some health while your opponent is knocked down. Simply keep throwing punches while the referee is counting down and you'll slowly but surely recover some health, which can come in good use. Every opponent from the NES game returns (with the obvious exception of Mike Tyson/Mr. Dream) making for 10 fighters. To up the count a little Next Level Games also took two characters from the SNES game (Bear Hugger and Aran Ryan) and even added an entirely new character, Disco Kid, bringing the total amount of fighters to 13. All of these (except Disco Kid, obviously) behave pretty much exactly like they always did; it's pretty entertaining to recognize an opponent's moves from one of the old games. Unlike the previous games, however, this time it's not over once you're champion of the world; as in real boxing, your new job will be to defend your title. You'll have to face all 13 fighters again in the same order as before, but be warned - they've been training so they're much, much stronger than before, with more health, more power and entirely new moves. Even Glass Joe - the single easiest opponent in any videogame ever - will actually put up a decent fight and probably KO you at least once while defending your title! Once you've beaten all 13 fighters again there's yet another mode which also includes a top-secret 14th opponent - but you'll have to find out who that is yourself. If you'd like to rebattle fighters you've already fought (Both the regular and Title Defence versions) there's also an Exhibition Mode - Each of the fighters has their own set of 3 "challenges" (such as not dodging, KO-ing an opponent in a certain number of hits or finding a weak spot) which you can try to achieve here as well. Once you've cleared all three challenges for a specific fighter you'll unlock his sound test - you'll be able to listen to all music and sounds related to that fighter, including Doc Louis's between-round advice and all of the opponent's quotes. The opponents themselves have got to be the greatest thing about the game. On the NES and SNES they weren't really interesting but because the series has now gone 3D they've all been given fantastic personalities; each opponent has their own intro "movie", consisting of a bunch of pictures detailing their personality and they'll speak in their native language (such as French, Russian, or... Hippo?) during the fight and between rounds, taunting you or praising themselves. They've all also got some great animations - they look so good that it might not be a stretch to call Punch-Out!! one of the best-looking games on the Wii. Each fighter also has their own personalized music. All of the classic NES Punch-Out!! songs have been remixed 13 times - once for every fighter - giving them all a unique style befitting the character they belong to. There's not a bad song in the bunch and you'll be wanting to clear all challenges in Exhibition Mode as fast as you can just to unlock them all in the sound test. Next Level Games has also attempted to include a multiplayer mode. When this was first announced it didn't really sound like it would work with the Punch-Out!! gameplay and as it turns out that's completely right - both players will play as Little Mac, simply punching away at each other while occasionally dodging. Once you hit your opponent enough times you'll turn into Giga Mac, a gigantic version of the tiny fighter who can dish out far more damage. In the end though, all you'll really be doing is mashing buttons randomly; the attacks are too fast to actually react to, meaning multiplayer is a rather useless addition. As with any Wii game it just wouldn't be complete without motion controls. In Punch-Out!! you can use the Wii remote and nunchuk to throw your punches and it actually works quite well for the first few fights. Once you get to the later opponents though, you'll begin to find the reaction time far too slow. It might have been nice if the Wii Motion Plus was released earlier and implemented into the game. Thankfully, there's also a "classic" control option - just tilt the Wii remote on its side and you can play it exactly the same way you play the NES game on Virtual Console. Punch Out!! also allows you to use the Wii Fit Balance board, but it ends up being more of a novelty than a useful control method. You can choose to make use of it for the ducking and dodging play control aspects of the game, but it ultimately ends up being too sluggish and unresponsive. You'll also likely find yourself concentrating more on trying to effectively use the Balance Board than throwing the various punches and combinations needed to win the fight. Much like other Wii titles that have allowed the use of the Balance Board, it once again feels like a very tacked-on feature that little thought was put into during development. After their great efforts with the Mario Strikers games, Next Level Games have once again proven they know how to handle Nintendo franchises. Punch-Out!! on the Wii is an absolutely amazing new instalment in the classic franchise with a ton of content for both new and old fans. The multiplayer and motion control aspects are a bit of a let-down but there's just so much other good stuff here that it's easy to overlook these minor niggles. This is quite possibly the greatest revival of all time; please Nintendo, don't let the franchise die off again! Nice Review. I really wanna pick up this game because of the positive feedback its gotten. Also, Punch-Out FTW!! YES, AWESOME REVIEW FOR AN AWESOME GAME!!! Called the score the second I clicked the link. Bwahaha. Great review! This game is awesome. Super Macho Man is ridiculously hard. I told myself not to buy Punch-Out, but having read great reviews such as this, I shall be picking this up alongside Boom Blox on Friday. Nice 1 Marcel you just cost me 30 squid. Is it true Donkey Kong has a cameo in this game? Nice review Drake, it was cool to find out that it stays true to the NES original yet borrows from the SNES version like regaining health when your opponent is down. I'll have to get my hands on this very soon! Nice review ;D great job. "Dance like a fly, bite like a mosquito." Great game, and a good example of Nintendo's 'easy to learn, difficult to master' styles of gameplay. It can be very tough, but it's always fun and has that 'just on more go' addictiveness going for it. I'm currently trying to beat Don Flamenco in Title Defense, and I'm still determined because I KNOW I can beat him...eventually. Remember:"A comeback is like a YoYo; you might go down, but you'll come right back up again... And you may end up walking the dog." Nice review, still need to pick this one up! Will do so soon. Neat, I'm rather interested in this now, I'll have to get it sometime. This game is awesome! It's a must have for Wii owners! I just love how the boxers are more fleshed out and have alot to say during the fights. 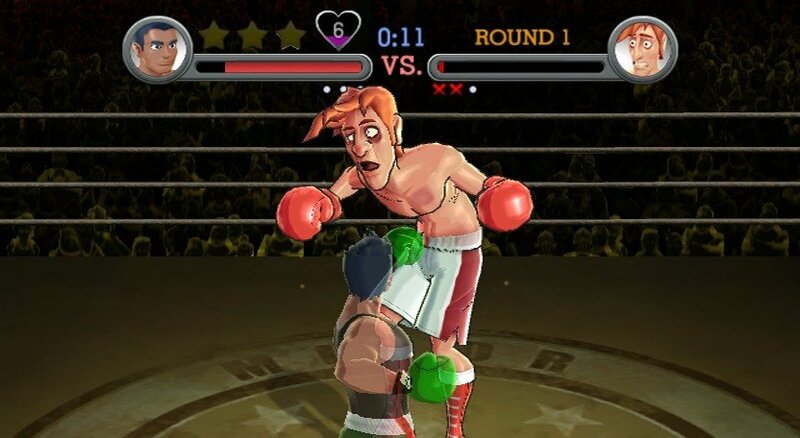 Newcomer Disco kid is hillarious and Aran ryan from the snes punch-out has been made into a psycho boxer. He gets in your face and taunts you while your down. I love it! How do you get to play the 3 challenges for each fighter? I know that Mike Tyson was a nice feature on the Punch-Out!! for the NES. But seriously, he's not THAT big of deal nowadays and if thats the only reason to not buy Puch-Out!! Let say its a bit lame. (Of course if you have other reasons that make sense thats another story...). Punch-Out! Have 5 Diffrent games and a Spin-off! (Without conting Mr. Dream that is the same as Mike's) 5 games and a Spin-off!!! Mike's one is the 4º game in the series (if you count the the said Spin-off). 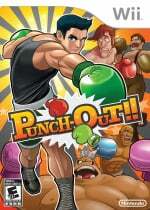 There is much more about Punch-Out!! than Mike Tyson. I played this at a friend's this weekend and it looked pretty good. However, I don't know if I will get it, since I'm not a fan of games that want you to play over and over until you learn an area/enemy and can do it perfectly in order to win which Punch-Out nearly requires. Great review Drake! I love the NES version,so I must buy this. This game is absolutley my favorite game on the Wii for now. It's going to take something serious to dethrone this title. Did I hear someone say Pikmin 3......? "Join the Nintendo Fun...I mean Club Nintendo today, Mac"
I know I shouldn't really compare the two, but I think as a single player game Punch-Out!! is more fun than Fight Night (rounds 2&3 being the ones I've played), but EA's series takes the cake for multiplayer. I don't really think Punch-Out!! should have points knocked off for it's weaker head-to-head mode though; like Smash Bros. Brawl (with its' overlong adventure and dodgy online modes) the developers were a little TOO genereous if anything. One Wii remote in the NES position is all you need for this game, along with blood, sweat...and chocolate! I'm definitely picking this one up once the money starts coming in. @ LinktotheFuture: Just go to Exhibition on the main menu and select a fighter. Does anyone here know why there's still no realese date for Australia? Well I'll get this eventually, it looks really great and really hard. But all I wanna do is verse that 14th secret Nintendo Character. I know who it is, but I don't feel like spoiling him. @Drake--Thanks, I found it. I just thought there would be a seperate menu option. This game is amazing! Playing this game, I'm pretty convinced that I will never, as long as I live, achieve all of the challenges. And that's a GOOD thing. The "main" section of this game is easy enough for anyone to play. The additional sections (title defense, challenges...) are preposterously hard to give every gamer of every skill level a real fight. BTW, for anyone wondering, there IS a secret character in this game but I won't spoil it for anyone. He's the true final boxer. Search it on Youtube. "True final boxer" well not quite, he is more like an bonus char than the final guy. The final one is Mr. Sandman both in the normal and TD mode. ^I could be wrong but wasn't he the final champ in the original arcade game? It's a fantastic game, and I agree with the score. I must say, though, me and my friends have really been enjoying multiplayer. It's only a waggle fest if you make it that way. In fact, as we got better, the multiplayer matches got downright strategic. Also, I haven't had any problems with motion control responsivness. I actually think they're the preferrable way to play. My only complaint was the lack of online leaderboards. I'm ecstatic that Nintendo brought the Punchout!! franchise back, so I'm also thrilled that it got such a good response. A no-brainer buy. "Punch Out!! also allows you to use the Wii Fit Balance board, but it ends up being more of a novelty than a useful control method. You can choose to make use of it for the ducking and dodging play control aspects of the game, but it ultimately ends up being too sluggish and unresponsive." Actually, it works just fine if you actually do duck and dodge instead of half-hearted efforts. Seems to me that with the problems you mention - sluggish, unresponsive controls, poor multiplayer (for which there's no excuse) and rubbish Balance Board support - there's no way this game deserves a 9 out of 10. Why bother developing a motion-enabled update of a NES game if you need to use NES-style controls for the final battles? That's just bad design if ever there was any. For me Punch-Out!! is ace, at least in single player (haven't had chance to try multiplayer yet). From the outstanding visuals to the great controls (which I think are absolutely fine - I experienced no problems - although I don't have a BB), and the challenges for more experienced players could make this last ages whilst never getting old. Although Nintendo could've relived a different franchise other than PO, they did a damn good job here. The one thing that I would change about this game though is that although I know that it would be tricky to implement an online mode, it's a shame that NLG didn't include it. With a few more new fighters, animated ring intro's (or just something animated instead of those still images), an online mode for competitive play with leader boards for knockout times, slightly prettier menu screens, and possibly the ability to play as the other fighters in multi-player mode too, this could have been a perfect 10 in my opinion. As it is it's still a great game but it makes me sad that these blatantly obvious little niggles weren't addressed/added because it's frustrating to see a game that so clearly came so close but that just skipped a few small layers of polish that could have made it truly magical. The thing is that those issues with the motion controls really are inherent issues with the current Wiimote/Nunchuck motion technology itself as far as I'm concerned so you can't really blame the developers if the controls don't work that well in this case. They actually did the best they could with what they had imo. "Why bother developing a motion-enabled update of a NES game if you need to use NES-style controls for the final battles? That's just bad design if ever there was any." Shrugh. I have so far went King Hippo TD with motion controls. Seems working fine for me. It's not really my problem that most reviewers are uncoordinated slouches. Not bad on the review but I do feel it understated a few things. The review ultimately comes off saying that the moves of the NES/SNES buddies of old are familiar and you'll recognize them making it sound like 'more of the same.' Ultimately that's just half right. I've pushed it as far as Soda Popinski so far in the game and while there are a couple moves you'll identify with, that doesn't necessarily mean they're the same. Old Don Flamenco used to be a snap, you'd pop em, he'd block, then do that swing over and over. He does it still, kind of, but also throws in some jabs and other bits. Once you beat him enough something funny happens I won't ruin, but he goes into a rage and swings like nuts all over. If you think you can use your old moves on anyone, including lame Glass Joe, you're going to get popped and probably dropped too. Old Soda is giving me hell now as his timing has changed a lot, but the moves more or less are the same, but made worse he can cheat and refill his life, and I hear you can stop it with a shot but it's hard to time and if you don't he'll ride those 3 rounds out. The game may look 'old' but it's all new with the moves. I wasn't planning on getting this game but after reading the reviews I bought it. I must say this game is awsome, well worth the purchase! I do have one question about the review...WTH is a niggle? A minor complaint/criticism is basically what a niggle amounts to. this game is going to be mine Next Friday! Good review but I disagree with the comment on the motion controls. I was able to beat the game using the motion controls and had a lot of fun with it. It does provide a bit more of a challenge but never felt frustrating. Once you get used to them, the standard controls feel a bit boring. I am a big fan of the motion controls as well. It may make the game more difficult, but it also makes it more fun. I'm considering buying it. Good review as always. Man, this game looks sweet. I would go get it except for the fact my wii isn't working. Ugh! Meh, never been a fan of Punch-Out!!. I'll just stick with Wii Sports Boxing. You mean 'really not functional sports boxing' right? That setup was awful and the rude fact they gave no instruction how to move precisely made it even more of a pain. I gotta get this game!!!!! I had read, though sadly can't provide a link so take this with a big grain of salt, that the developers chose not to use MotionPlus. They had the option to do so as the tools were available, but did not because they felt if they used it it would no longer be Punchout. I think I can go along with that. Punchout is all about patterns and timing (and humor). I've purchased the game, but have to wait until my birthday for my wife to give it to me, and by that I mean the game, and not a right hook. I hope! It looks pretty fun, might get it one day. I know this isn't the place for this but, what is the big, fat guy's name? EDIT: Altho this game is good, i think it can only advance furthur on its next release is if there are like 20 fighters, 10 old, ten new. 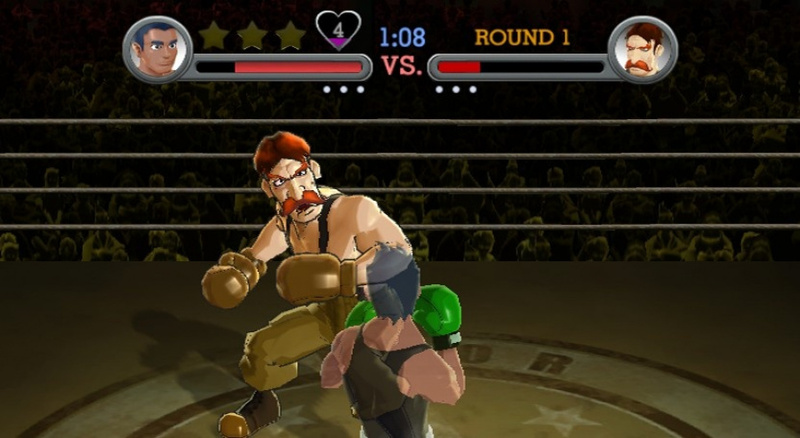 Also, Players can choose who they fight as in multiplayer, without restrictions of lil mac and charlie. OR/AND maybe they should make it so u can move freely in the ring....one or preferably all of these 3 things i believe can make this game a much better boxing game to succeed this one. dadun,I follow you...that would be REAL boxing,NOT punch-out. I am stuck with mr. sandman. 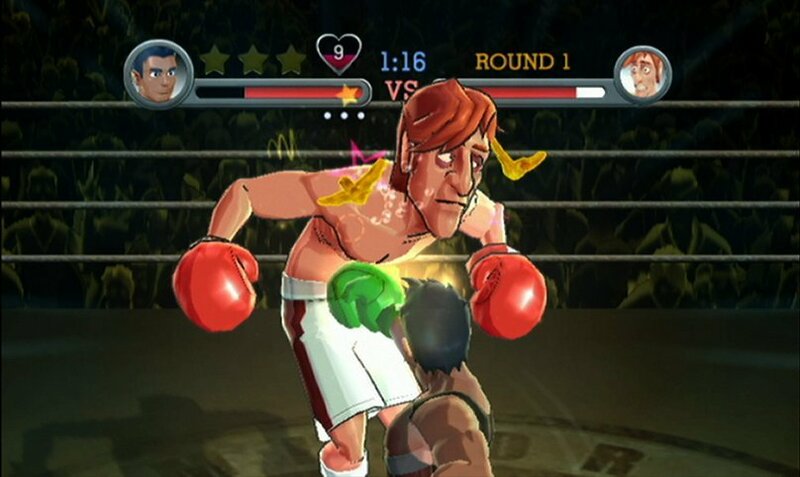 punchout with motionplus would be VirtuaBoxing...a different game. The Champion on the Major Cup is making me extremely angry! I hear you, he's murdered me over and over! Man, I LOVE This game, the Wii controls work way better than the buttons, and it's actually pretty hard, too. Great review, Marcel! This was my favorite on the NES, and it may be my favorite on the Wii. I can't put it down. On Hippo now the second time through. I haven't seen a better win-the-game-bonus since the second quest of Legend of Zelda! 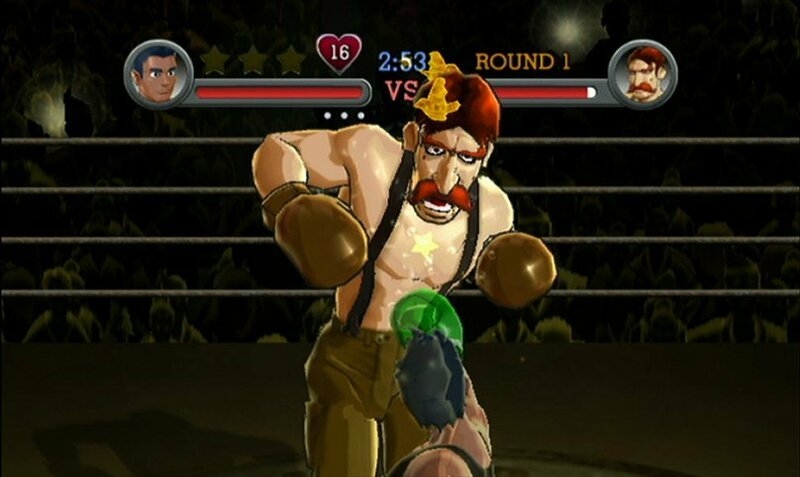 I really hate when reviewers complain that Punch-Out's motion controls are too slow. They're actually spot-on responsive and I've beaten the game several times. I can never go back to buttons with this series. Perfect 10 - love it. This is a special game. I don't think I will ever put it down. spoiler alert!! donkey kong is secret enemy in this game!